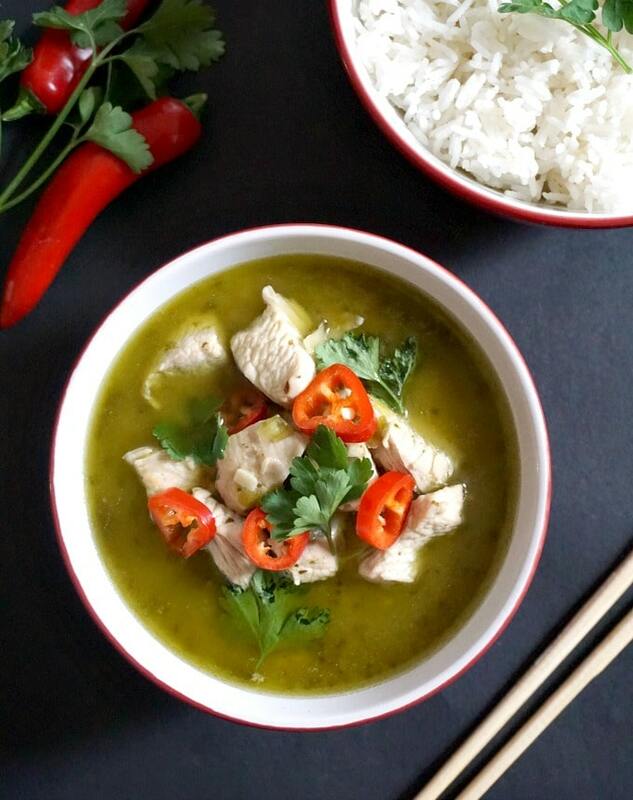 Fiery Thai Green Chicken Curry, a super hot and super tasty recipe that is ready in just about 20 minutes. Serve with rice for a true Asian feast experience. I must warn you, this dish is not for the faint-hearted! 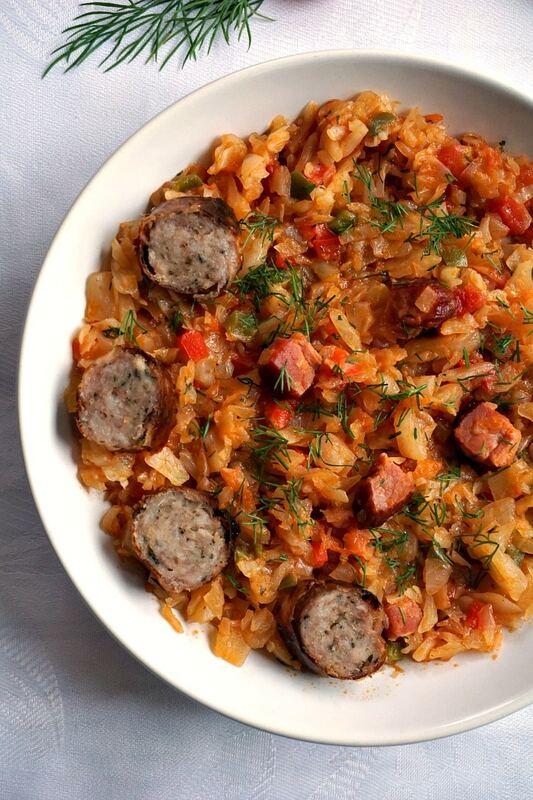 If you like proper spicy food, then this is the recipe you have been looking for. It’s absolutely delicious, extremely flavourful and full of colour, and extra bonus, it is ready in no time. You can still fully enjoy it if you are not really ready to have your mouth in fire, but only if you seriously cut down on the amount of green curry paste and red chilli peppers to get a more mild version. I have been into spicy food for quite a while, although I was a lot more cautious during my two pregnancies. Plus, for the past two years, my taste buds have changed massively, since I started cooking with little to no added salt for my little ones. So, having this spicy curry reminded me of the good old days when my husband and I were dating. Lots of romantic dinners out, and lots of spicy food. It also reminded me how much I have missed the heat of a good old curry. I usually go for Indian curries, but this Thai one completely blew my mind. 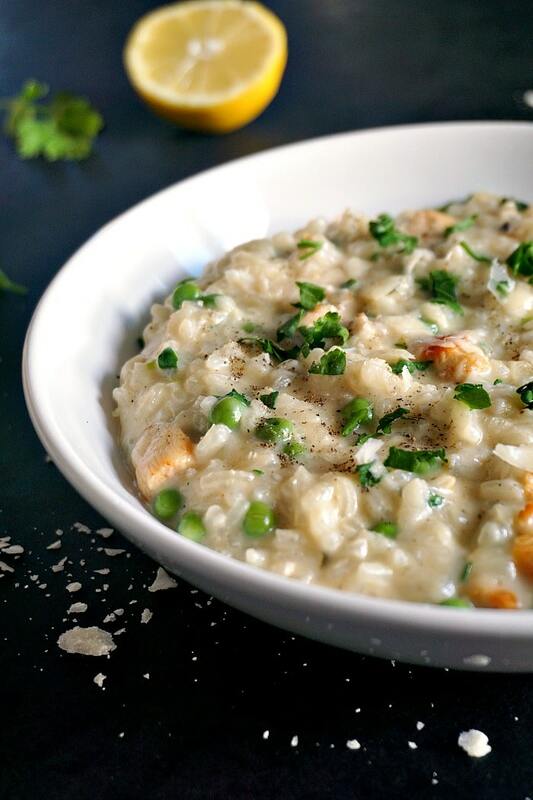 The combination of creamy coconut milk and exotic spices is what gives this dish a unique touch. Hard to resist the heat! This green curry paste can be made at home, but it’s a lot simpler to buy it from any larger supermarket or Asian store. It saves time and effort, plus it’s also a lot cheaper, and most brands offer really good quality paste. If you can save yourself some time, why not do it? I do, however recommend you buy the kaffir lime leaves and the Thai basil, they have an intense aroma that works so beautifully with this dish. But, if you can’t find them, and use the store-bought curry paste anyway, that should not be a massive problem. 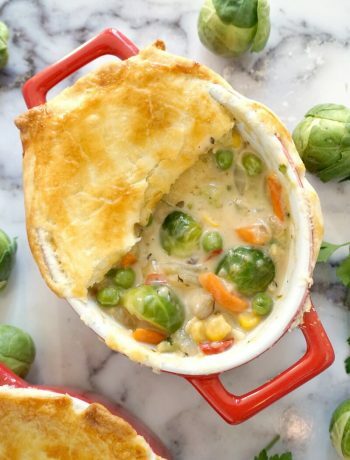 With all my recipes, I try to bring to everyone’s table affordable dishes, and I am well aware that some ingredients can be pretty expensive or not easily available, so best to adapt any recipe to one’s taste and pockets. So, there you go, a delicious Thai recipe that makes dinner time a special moment.Perhaps share it with your other half this Valentine’s Day? 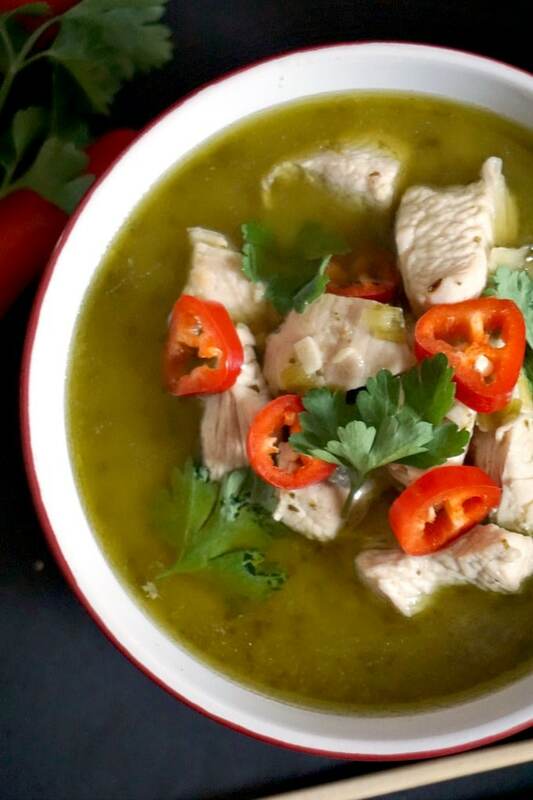 If you’ve tried my THAI GREEN CHICKEN CURRY or any other recipe on the blog then don’t forget to rate the recipe and let me know how you got on in the comments below, I love hearing from you! You can also FOLLOW ME on FACEBOOK, INSTAGRAM and PINTEREST to see more delicious food and what I’m getting up to. 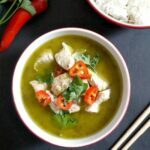 Fiery Thai Green Chicken Curry, super hot and super tasty dinner recipe that is ready in just about 20 minutes. Cut the chicken breasts into chunks and set aside. Chop the spring onions, peel and cut the ginger and garlic cloves. Heat up the vegetable oil in a pan, add the chopped spring onion, garlic and ginger, add stir for about 30 seconds until the release they flavour. 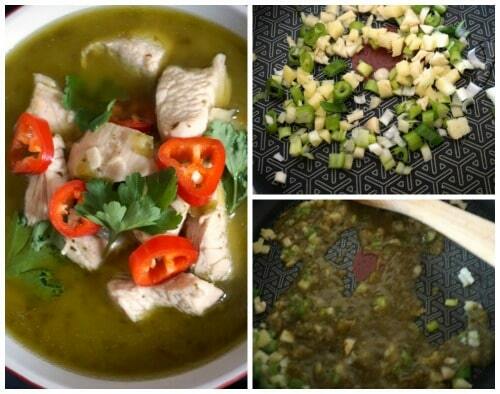 Add the green curry paste, then stir for a further 5 seconds. Now the chicken chunks, coconut milk and water can be added too. Leave to cook for about 15 minutes or until the chicken is cooked through, then add the fish sauce, kaffir lime leaves and Thai basil. Remove from the heat, then garnish with sliced red chilli peppers and coriander leaves. Chicken can be subsituted with turkey, but the cooking time could be about 10 minutes longer. Best to use full-fat coconut milk for extra creaminess. If you like less liquid in your curry, omit the water and only use the coconut milk.